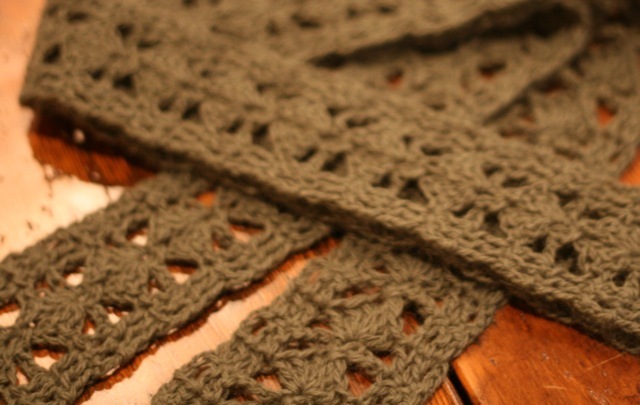 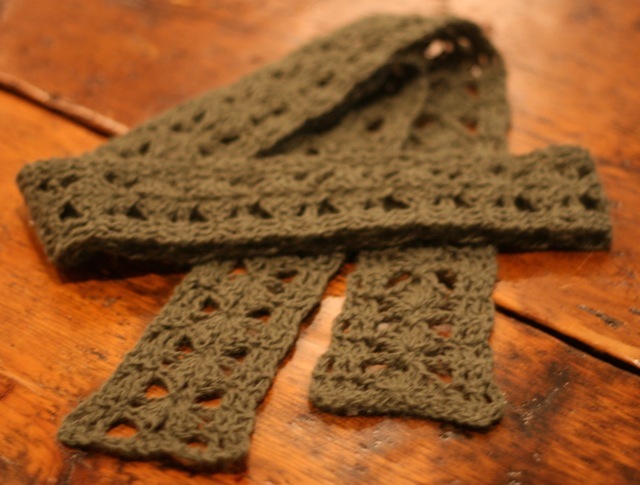 I tried a new pattern for this skinny scarf. 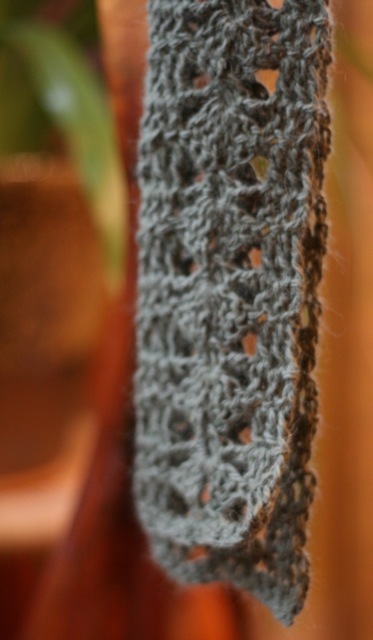 You can find it at http://crochet.about.com/library/weekly/aa030106.htm. 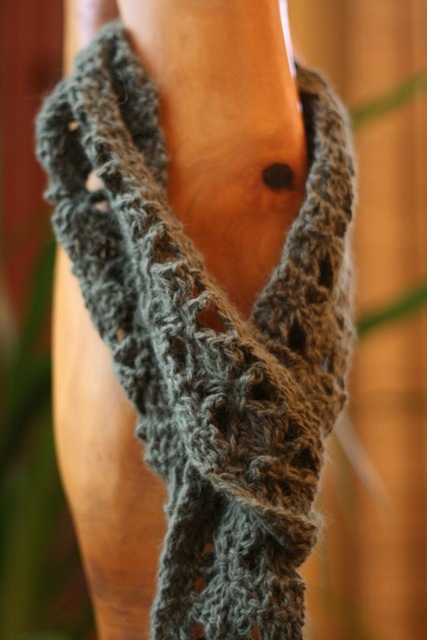 I used an angora/wool blend yarn with an H hook.